Turkey’s ongoing military operation against Kurdish fighters in northwest Syria is “likely to prove indecisive and costly to both sides”, and could lead to terrorist attacks within Turkey, according to a report by the independent conflict prevention organisation International Crisis Group (ICG). 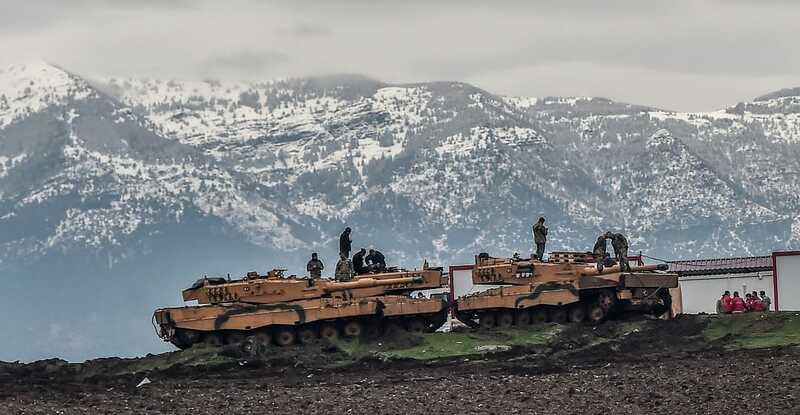 Turkey’s “Operation Olive Branch” began on Jan. 20, with the Turkish armed forces aiming to defeat the mainly Kurdish People’s Protection Units (YPG) holding the town of Afrin and its surrounding area. Turkey considers the YPG to be a satellite of the Kurdistan Workers’ Party (PKK), an armed separatist group designated as terrorists by Turkey and its allies which has resumed decades of conflict with the Turkish state after the breakdown of peace negotiations in 2015. The fight for Afrin will be “particularly challenging” for Turkey, due to deeply rooted support for the YPG in Afrin, according to Noah Bonsey, the ICG’s senior analyst on Syria and author of the report. The rocky and wooded terrain in the region is also particularly suitable for guerilla warfare, so holding Afrin against a “potent, deeply-motivated insurgency” would prove costly. Moreover, the conflict may drive the PKK to “revert to bombings in Turkish cities”, a tactic that the organisation had used until ceasing bombings last year, Bonsey writes, “likely due in part to Washington’s exhortation”. The involvement of the United States in the complex conflict in Syria is another potential source of serious trouble for Turkey. The YPG have been receiving weapons and training by the United States, which considers the group indispensable allies in the fight against the jihadist Islamic State, and U.S. troops are stationed in Manbij, another area in northern Syria that Turkey’s President Recep Tayyip Erdoğan has vowed to attack after the Afrin operation. Such an attack, however, could bring Turkish troops into direct conflict with those of its NATO ally the United States. Bonsey recommends that the interests of both sides would be best served by a “quid pro quo” – the immediate ceasefire and withdrawal of arms from Turkey by the PKK, in exchange for a return to the peace process and “acquiescence to continued YPG control within much of northern Syria” by Ankara.